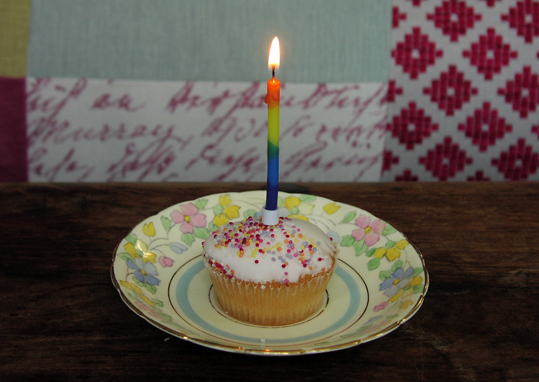 Here is a rainbow candle on a cake with sprinkles that I treated myself to yesterday afternoon and tomorrow is the Pride in London Parade 2017, the biggest LGBT+ parade in the UK. Why are these two things connected? Well, the Pagan Federation and other pagan groups will by marching in the parade this year to honour diversity. I was given a wristband to take part, but sadly, I won't be able to as I am teaching a candle magic workshop at Treadwell's Bookshop that afternoon. I offered my wristband to someone who can go and supported Pride in spirit by lighting a rainbow candle on a delicious cake and sending good wishes to all those on the march. I also thought I'd blog about how rainbow coloured candles can be used in spellcasting. Normally for candle magic you would pick the individual colour that was most suitable for the spell you want to cast, but you can buy multi-coloured candles for spellwork - as well as for cakes. As you burn each section, think how the symbolism of the colour could help you get the desired outcome. You could incorporate planetary magic, because each planet is represented by a different colour. Here's a chart to show their magical correspondences. However, if you don't have a rainbow candle, you can just burn a white candle because white light is all the colours of the rainbow combined; rainbows are created by refracted white light. Remember that it doesn't have to be your birthday to light a candle on a cake and make a wish. 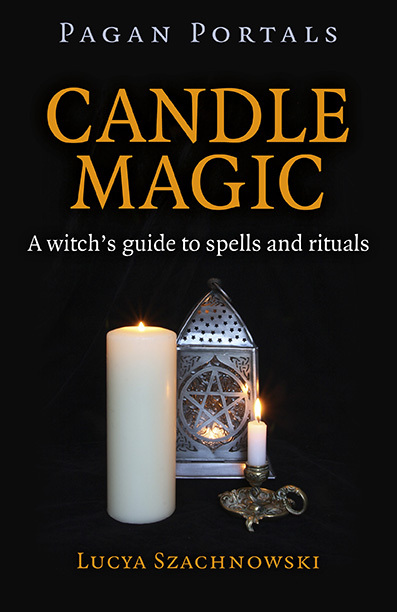 You can also find out more about candle magic in my book Pagan Portals - Candle Magic, which is published by Moon Books. You can see packs of rainbow birthday cake candles on Amazon.